Have you ever noticed when something is charted and it’s on an upward or downward trajectory, there are always lots of peaks and valleys to the trend average? 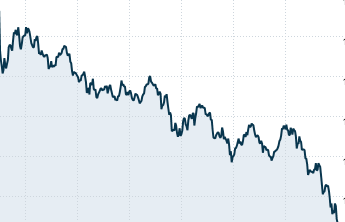 You see it with the stock markets, in the stats of professional football players and in TV and radio ratings. Whatever is being graphed will have slight ups and downs, but it’s when you pull back and look at the big picture…that’s when the true trend is revealed. 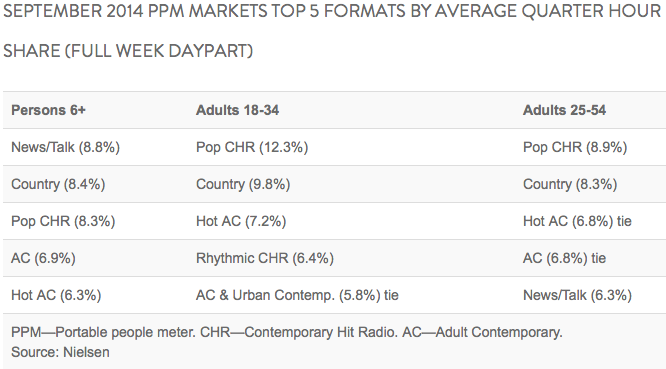 A few days ago, Nielsen released a report on their September PPM ratings. 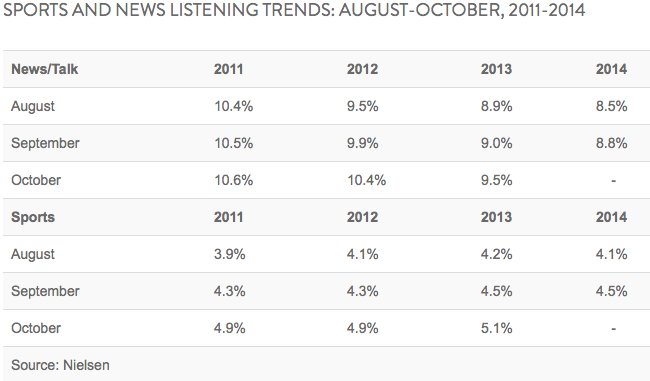 The report shows listening to news/talk stations is up 4% from August 2014 and up 9% from July. Great news I say, considering the depths news/talk stations were found at following the June and July 2014 ratings period. The radio industry and some of the press that follows it started cheering the news – pom poms in hand. It’s not like I enjoy peeing in everyone’s corn flakes and ruining the moment, but everyone needs to step back, focus and look at the trend…the big picture. All of us with a stake in news/talk radio owe it to the format by facing reality and speaking the truth to try and eventually salvage what can be saved. Since I last wrote about talk radio’s ratings issues, Rush Limbaugh, Sean Hannity and the rest of the usual conserva-talkers got the heave-ho from another FM, this one a translator in Market 262, better known as Williamsport, PA.
Mr. Limbaugh, I again apologize, but we’ve now lost the FM translator on 94.9 in Williamsport, Pennsylvania. Since it’s market 262, if we lay low it’s possible no one will notice. Exiled, but lucky for them, they still can be heard on a 1kw station at 1400. Yeah. Yeah. Hair dryers have more power. Relax. 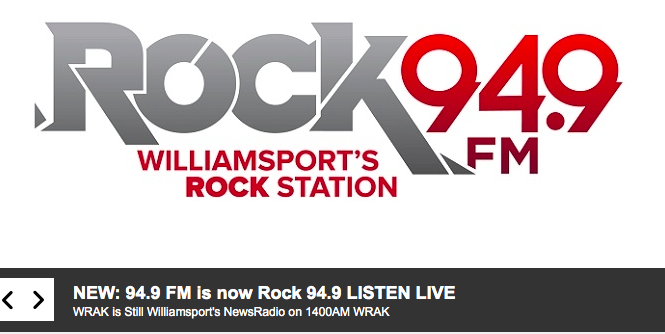 The news radio thing is still on 1400. National and local hosts alike keep parroting each other’s opinions. It’s almost as if Rush Limbaugh, Sean Hannity and Mark Levin have a daily call to make sure their opinions align. I can’t imagine that happening, can you? Nah. If you only read what some of the radio trade press wrote, you’d be thinking happy days for news/talk are back! But, if you would have clicked on the link supplied with each story, one taking you to the actual Nielsen report, you would have been greeting by this. Let me remind you 2014 is an election year, a year that is supposed to bring a big ratings lift to the news/talk format. I fail to see one. Additionally, even politicians are now failing to see the value of conservative talk radio. Below is what has been forecast from Borrell Associates, granted this prediction is for all radio formats. Radio will see some $485.3 million in political ad dollars in the 2014 campaigns, a drop in share at 5.8% from the 6.5%, or $463.9 million spent on the medium in 2010. The firm predicts radio will rebound in 2016 with $1,088 billion or 8.8% of the political ad dollars. I know radio formats are cyclical and every format goes through its highs and lows of popularity. Many use country as an example. But, country radio has continually reinvented itself. Gone are Loretta Lynn, George Jones and Hank Williams, Sr. Today county is Luke Bryan, Blake Shelton and Carrie Underwood. Talk radio today? It’s still Rush Limbaugh. The Nielsen report also included a chart showing how the news/talk audience has aged in comparison to other formats. News/talk radio must recognize the changes in America, socially, culturally, demographically and generationally. Beliefs, opinions, viewpoints have and are changing and that change cannot be stopped. It’s news/talk radio’s job to reflect these changes. This has always has been radio’s job. It’s just some refuse to believe their world is in flux. I thought news and/or talk was thriving on noncommercial radio. Indeed…the “news-talk” format is doing well on NPR-type stations (and I don’t think there’s too much conservative thought there); This is why Air America flopped; those with leftist views already had their talk radio..This article should have specified “commercial” talk radio. Remember, this article is based upon the PPM and the non-commercial or NPR stations are included. And Bob also confuses non-commercial news/talk stations as being solely political talk. Certainly there are political issues shows, but most non-commercial spoken word is anything but politics: A Prarie Home Companion variety shows, quiz shows, cooking, travel, documentary such as This American Life. It’s a really vast panoply of programming. Commercial radio? arch-conversative political blather. 24 hours a day, with the exception of perhaps Dave Ramsey’s financial advice or late-night tinfoil hat conspiracy theory chat on Coast to Coast. That is why commercial “news” talk radio is slowly bleeding out. Air America failed because the people bankrolling misconstrued Rush’s success to be entirely based of his politics. But you couldn’t fault them, as Rush’s most ardent supporters have also missed the point as to why he was successful. With all due respect, the “Air America was a commercial version of NPR” line was and is nonsensical, rehashed over and over again by conservatalkers and their listeners for many years now. Bob once again reverts to his one trick pony, “liberal talk = NPR” – when they weren’t at all the same product. Air America failed for three reasons – 1: Politics over entertainment. 2: Unstable backing 3: Lax sales efforts at affiliate stations – usually no more than a computer in a closet effort, Darryl knows this because he took glee in it. Truly liberal talk shows will stimulate and stir debate from a liberal point of view – I’ve heard NPR hosts be painfully polite to the most uninformed, far right callers, who make statements that are clearly without factual basis, and the hosts will treat their ignorance as if it’s as good as someone else’s factual knowledge. I’ve never found conservative’s “purity test” for talk talent to be particularly productive. I’ve seen conservatives complain to stations about conservative hosts that aren’t “conservative enough” and “I thought this was supposed to be a conservative station and you’re airing Dennis Miller!” etc etc. Why is this ever shrinking audience even worth dignifying? I remember the talk greats – WLS, WSB, WLW.. and one thing they had in common besides three letter calls is the fact they had local hosts from across the ideological spectrum. Even if you’re a conservative or liberal, doesn’t it get boring hearing the same POV rant all day every day? Find me people who can entertain. Find me hosts who will take calls from the opposition and engage them, rather than shout over and hang up on them, or pick the worst of the bunch to make all liberals/conservatives/libertarians look stupid. Find a host who can take a perspective on an issue that makes you THINk and go HMMM, never looked at it that way. What were Gary Burbank’s politics? Did anyone care? The man was talented and an ENTERTAINER! Now, after Rush, more of the same..there’s no variety anymore. Howard Stern, Rush Limbaugh, Dave Ramsey, Morning Edition, you name it – aren’t successful because of their politics. They’re successful because they are GOOD RADIO. And we either invest in it and develop it, or what’s the point of even paying the power bill? Oddly, Darryl is the solution to his own problem. His WLW Saturday morning show was a textbook of alternative programming. It was anti-establishment (no school bonds), funny, local, and different. Rush isn’t going away, any more than the newspapers went away after the advent of radio. There’s certainly room for both Rush and Darryl. Likewise, I see no need for BAD RADIO like Hannity and Savage. Well there is that. LOL. Thank you for the kind thoughts, Nick. At least I was practicing what I preached. Find me people who can entertain. This is my biggest pet peeve with radio and all of media these days. Back in the 1950’s through the 1980’s, media had what I call a certain “theatrical” element. In fact, a couple of news anchors in the Columbus area once were or later became actors (Bill Hindman is an example). I watch some of the old clips online of people like Judd Hambrick, Doug Adair, Bill Bonds and others and although they might not have been actors, there was still something theatrical about their delivery. I always talk about the old weather guys and how it wasn’t beneath them to do something goofy on the air (Bob Alan from being the nighttime DJ on WCOL transitioning to weatherguy at WTVN-TV, WCPO and other places and Jerry Rasor come to mind). IMO, this made things fun to listen to and actually watchable. Listening to most radio and media these days is like walking into a Sears store. Boring. I, for one, am glad that today’s version of commercial talk radio is in decline. I am 100% in favor of debate and dialogue, but am 100% not in favor of juiced up rhetoric that has no other goal than to draw in like-minded doomsayers either on the right or the left. There are some troubling studied out there that say the age group in the 18 to 30 bracket aren’t listening to any news commercial or non-commercial. Maybe they’re too smart to buy the crap being sold as legitimate content by the left and the right. Maybe if something real was out there this age group would check it out. There is nothing wrong with hucksterism and juiced up rhetoric. What is wrong is when you hear the same hucksterism and juiced up rhetoric at every spot on the dial every hour of the day. Rush and others – but Rush especially – have basically tarred and feathered the 18-30 age group as “low information voters” because the majority of that demographic voted for Obama. They just don’t even care anymore that they have all become crotchety old farts seemingly stuck in their ways, all the while hemorrhaging listeners and revenue. The Rush of 1992 was entertaining and compelling. The Rush of 2014 is depressingly past his prime and borderline unlistenable… it’s a forced listen, and the furthest thing from entertaining. If I ran a talk station, I would go one step beyond what Darryl has suggested and deemphasize Rush’s presence as much as possible. Rush’s show really can’t be saved by any marketing aspect, and unless he reinvents himself (which is doubtful) it will die when his audience completely dies off. Oddly, I told stations to do this for the last 4 or 5 years. I can tell you understand strategy, Nathan. But, lots thought it was better to air “Rush is Right” promos (like we didn’t know that already). As far as stations refusing to change their ways, apparently they are unaware of the fact that even if you bang the drum slowly, sooner or late the head will break. As quickly as Free-FM and “hot talk” went up in flames, I kind of miss that stuff because it was largely free of politics. I listen to the news; now that my city’s news station is gone I punch in and out of the NPR station for that (otherwise I have to be in the right mood for NPR and that varies by the day), I listen to a couple of the sports talk stations for talk, and then I punch back to music. But the moment someone starts to pontificate on politics (regardless of position), I punch out. It’s become irritating. 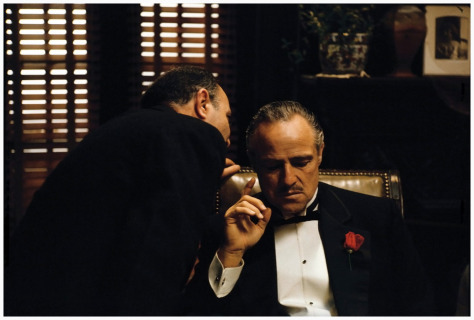 If I wanted to listen to my crotchety old uncle tell me how to think, I’d go to a family reunion. I don’t want that on my drive to work. It’s the same reason I quit watching cable news. I have enough stress in my day without inviting more of it through the media I consume.